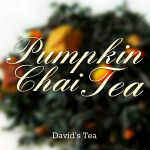 Tonight I had a cup of Coco Chai Rooibos, another tea from David’s Tea’s starter kit. 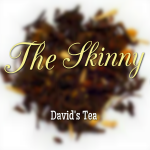 It’s a combination of rooibos, cinnamon, cardamum, ginger, cloves, pink peppercorns and coconut (heavy on the coconut). 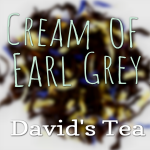 Use 1.5 tsp of tea per cup and steep in 98C water for 4-7 minutes. I left mine in for around 5 mins. Aside from the benefits of rooibos tea and the chai spices, the coconut in the coco rooibos chai tea helps boost the metabolism and can aid in weight management. I’ve been rushing around all day, seems like everything I every had to do in my life was due today (slight exaggeration ;)) I’m lacking sleep and missed lunch and am dead tired. But this tea soothed me. I’ve been finding that, unless I really hate the tea I’m drinking, whenever I have a cup, everything gets really peaceful. I immerse myself in all things tea and just concentrate on enjoying the tea. It’s actually an amazing feeling and is one of the reasons I’ll continue trying to drink tea every day, even after October is over :). 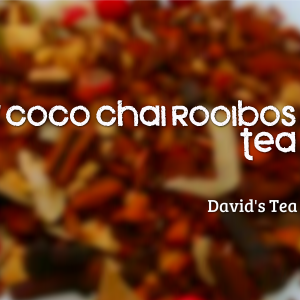 What do you think of the Coco Chai Rooibos from David’s Tea? Let me know below! 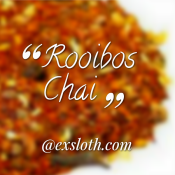 Coco Chai Rooibos is delicious!! Also, do you have enough options for tea to take you through the month? I’d like to send you a couple samples from my stash! I love tea but I’ve never tried anything like that. Sounds amazing!